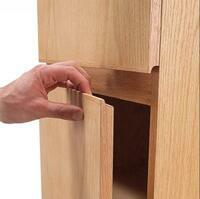 The concealed handle design leaves your storage unit looking seamless and clean. Want to paint your cabinet? Now you can do so effortlessly without any handles in the way! The quality is beyond what I expected. Very solid. 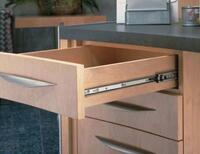 Assembly was nothing more than putting the drawer handles on. I really like these nightstands. I'm really glad we ordered them. For the price, style and workmanship, of my items it was better than I expected. I've continued to receive compliments and positive comments and opinions from all those that see my items and hear about it too. Super pleased with the look in my new master. 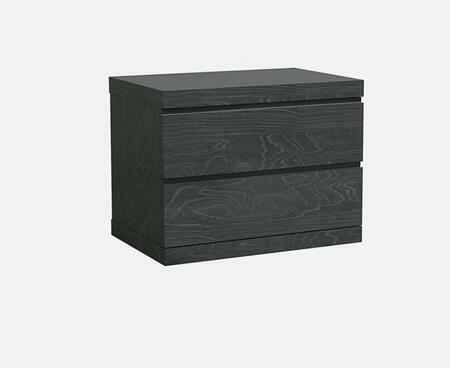 Very nice quality for the price and especially appreciate the drawers that open so easily. It gives me more storage than my previous table. Would highly recommend this piece! To my utter surprise, they arrived in perfect shape. The packaging was superb. I was very pleased with the customer service I received during the order and delivery process. If you are looking for a nightstand in this style, don't worry about the quality because the item looks like a more expensive piece. My daughter and I are very pleased with this product. The drawers slide well. It’s perfect. Very nice quality for the price. I have never been more pleased with a furniture purchase. I was hesitant to purchase at such a low price, but the quality is outstanding. I absolutely LOVE these nightstands. I purchased the nightstand to match furniture that we previously purchased. Based on the photos online, it looked like it was the closest to what we had so when it arrived, I was very pleased to discover that it was the same exact nightstand as what we already had. Just what we wanted and the color was just as described. Very pleased with the Whiteline product. The nightstands were delivered in a timely fashion, fully assembled and packaged well. I choose Collection to décor my room. Functional for what I need.